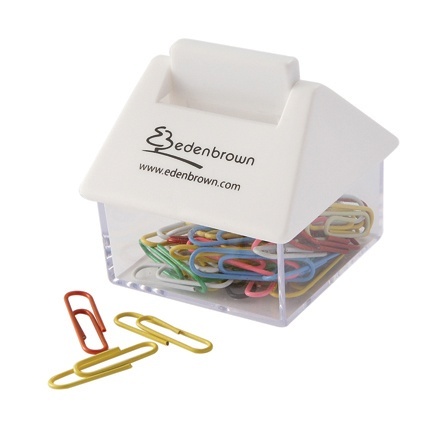 A handy home for your paper clips. Your custom print or logo appears on the white roof, which snaps on to a clear base. Perfect promotional item for your financial, housing or mortgage business, or for any new home. The dispenser includes a bag of coloured paperclips.